How is copywriting made safe from plagiarism? Copywriting is made safe from plagiarism by simple not copying copy belonging to somewhere or someone else directly and also using a plagiarism checker, which may be free, a plugin part of WordPress, or a paid service. Search Engine Optimization is quite important as the visibility of your site is dependent on it, where no usage of SEO can mean being buried beneath many other sites, a result that makes people finding you difficult, while usage of SEO can put you at the top and grant you being noticed many times. We personally use WordPress for its ease of use and the wide variety of plugins that can make any website possible; this overall saves us time and money for a more comfortable process. SEO means Search Engine Optimization, a process that is geared towards changing the visibility of a site within the search results of a search engine, without directly paying for more visibility. SEO has several methods that can be used, one that is most commonly used is applying keywords; words that are key to your website while also increasing your visibility. Web development is a term that refers to the entire development of a website, which includes web design and web support, among other elements. It is essentially the entire process of creating a website. Web support is a support service given to a website to fix issues or to offer a new feature. Issues can be broken plugins and broken themes, while new features can be social media integration and SEO Copywriting. 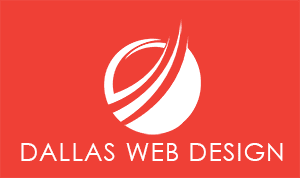 Web design is the process of conceptualizing and creating the layout for a website. The layout consists of many components, ranging from colors, to graphics, to text styles, and more. WordPress is a free, online, open-source tool used to create websites with ease. Based on PHP and MySQL, WordPress was released in 2003, and is still being used today for many websites, from blogs to businesses.